Strategies to address the most common strong-willed child behaviors. Although all kids can be strong-willed sometimes, a truly strong-willed child exhibits certain characteristics consistently. Also referred to as “spirited children,” strong-willed kids' temperaments are often evident from the minute they're born. Being strong-willed isn't the same as being a "bad kid." Strong-willed kids are simply determined to do things according to their own terms. While their sheer stubbornness can be admirable at times, it can also be downright frustrating. It's hard to convince a strong-willed child to do anything they don't want to do. While all kids throw temper-tantrums, strong-willed kids exhibit intense anger that doesn’t subside for a long time. They have low frustration tolerance and they struggle to express their anger in a socially appropriate manner. You're likely to find a strong-willed child stomping his feet, throwing himself to the ground, or showing you how loud he can yell. And sometimes, you might have no idea what even set him off in the first place. Parenting strategy: Acknowledge your child's feelings. Even if you think your child's behavior is overly dramatic for the situation, don't minimize his feelings by saying, "It's not a big deal." When strong-willed kids feel heard and understood, they feel less compelled to prove to you how bad they feel. One of the worst things a strong-willed child can hear is, “Because I said so.” They want to know why they can't play in the rain or why it's a bad idea to jump on the couch. While you might be tempted to say, "I don't know," or "Just because," those types of answers won't satisfy your child. You'll need to share why it's a safety, moral, social, or legal issue if you want your child to stop arguing. Parenting strategy: Provide a brief explanation. While it’s not helpful to provide a lengthy explanation, a description of the underlying reason why you’ve set a certain limit can be helpful. For example, say, “We can’t go to the park today because it’s snowing out and the playground equipment will be unsafe,” will help your child understand that your rules aren't simply an attempt to torture her, but there's a valid reason behind them. Strong-willed kids don’t give up when they disagree. They love to engage in power struggles and their stubborn persistence often tires people out. They're great debaters who are good at finding loopholes and exceptions. So don't be surprised when your child recalls that one time you let him eat ice cream for breakfast or the one time you justified lying because you didn't want to pay for the ticket into the zoo even though he was too old to get a free ticket. Parenting strategy: Give one warning and follow through with a consequence. Sometimes parents avoid giving strong-willed kids consequences because they don’t want to deal with the aftermath. But strong-willed kids need to develop an understanding of when their behavior crosses the line. Offer a single warning such as, "If you don't stop arguing right now, then you won't be able to watch TV for the rest of the day." If he doesn't stop, follow through with a consequence. Negative consequences, such as removing privileges or time-out, can increase your child's motivation to follow the rules in the future. Strong-willed kids have a vision in their mind about the way things should be and they’ll often orchestrate ways to turn that idea into reality. They have no problem telling their peers where to stand or how to behave and they’re not shy about telling adults what to do. Parenting strategy: Call for a do-over. When your child says things like, "Give me that toy," or "Stand over there," make him practice stating his needs in a more appropriate manner. Say, "That's not how we ask for something. Try again in a kinder way." Have conversations about the importance of being respectful and discuss how other children are likely to feel about him when he's bossy to them. Don’t waste your energy trying to convince a strong-willed child to do something she doesn’t want to do. Nagging, begging, and rationalizing isn’t likely to get you anywhere. Strong-willed kids will dig in their heels and refuse to budge. Parenting strategy: Offer two choices. Strong-willed kids are more likely to comply when they feel like they have some choices in the matter. So rather than say, “Clean your room now,” ask, “Do you want to clean your room now or in 10 minutes?” Giving her a choice can help her feel more empowered and reduce her need to control everything (just make sure you can live with either answer). Strong-willed kids want to do everything according to their timetables. They hate waiting in line at the grocery store, they don’t like waiting for their turn when playing a game, and they aren’t interested in sitting in the waiting room at the doctor’s office. They don’t want to waste a second waiting for someone else. Waiting is a part of life and it's important for your child to learn how to cope with waiting. Plan ahead and help her see that she has options by asking questions like, "What do you want to bring with you to do while we wait in the waiting room today?" Whether she decides to color or play with her favorite toy, make it clear that she has options in how she handles the situation. Strong-willed kids aren’t interested in hearing your opinion about when it's time for bed. Instead, they’re likely to insist they’ll go to sleep when they’re tired. They prefer to make their own policies and set their own guidelines rather than follow an authority figure's rules. Parenting strategy: Avoid making too many rules. Too many rules will overwhelm a strong-willed child and reduce her motivation to comply. Focus on the most important rules only. Avoid power struggles over minor issues and allow your child to face natural consequences whenever possible. For example, if your 10-year-old insists she doesn’t want to wear a jacket to the store, avoid getting into a battle over it. If she’s cold, she may choose to wear a jacket in the future. Strong-willed kids struggle to understand the difference between a 'need' and a 'want.' Whether they want to play outside in the rain or eat a hot dog for breakfast, they’ll claim they need to do it. They're also very concerned with fairness. Even when things are going their way, they'll often insist they're not getting their fair share. Parenting strategy: Use rewards more than consequences. Use a reward system, like a token economy system, to reward good behavior. Just make sure you make the parameters for earning rewards abundantly clear ahead of time. A reward system leaves the choice up to your child. Say, "Clean your room and earn time to watch TV. If you decide not to clean your room, and you don’t get to use your electronics." A token economy system will give your child a chance to earn privileges without feeling punished. Tell a strong-willed child to 'be careful,' or 'use walking feet,' and if she’s not interested, she’ll simply ignore you. Strong-willed kids are good at using selective hearing and they easily tune out anything that doesn’t suit their needs. Parenting strategy: Stick to your word. If you tell your child to do something and she ignores you, step in and address the situation so she knows that you say what you mean and you mean what you say. If you say you’re going to take away electronics privileges for the day, it’s essential that you follow through with that limit. Then, your child will learn that you aren't wasting your words on empty threats. Tell a strong-willed child she can go to the park and she’s likely to move like a bull in a china shop in an effort to get out the door. Tell her to get ready to go to the grocery store and she may dawdle for an hour. Strong-willed kids often eat fast and talk fast but then move at a snail’s pace when doing something they aren’t interested in doing. Parenting strategy: Make your expectations clear. Strong-willed kids are famous for saying things like, “But you didn’t tell me that!” Whether you’re headed to the library or a neighbor’s house for a visit, set your expectations ahead of time. Make it clear what constitutes acceptable behavior and discuss the consequences for breaking the rules ahead of time. Say, "I expect you to be ready in 10 minutes." Explain what will happen if she isn't and then make sure to follow through with consequences if needed. Before you start thinking that your strong-willed child is destined to become a menace to society, keep in mind that his attitude might actually be an asset at some points in his life. In fact, a 40-year study published in Developmental Psychology found that kids who break the rules become some of the highest income earners as adults. 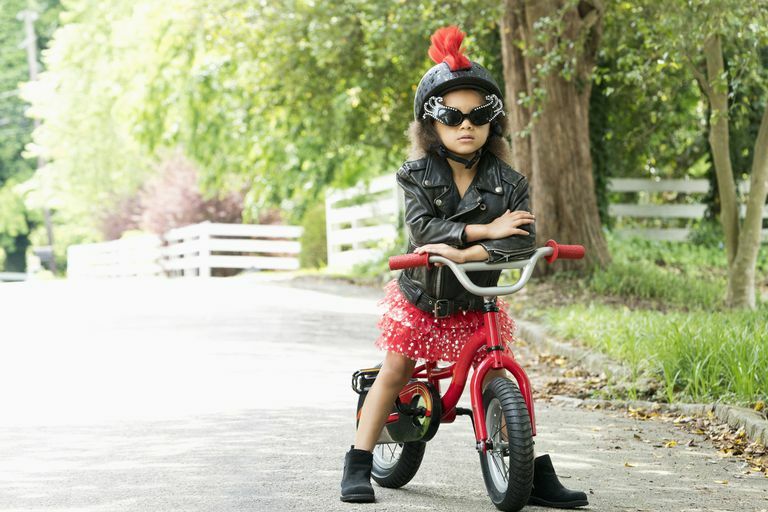 Kids who break the rules are more likely to become entrepreneurs or innovators. In fact, the study found that they're more likely to become millionaires than the class valedictorians. And while money isn't everything, knowing that your strong-willed child can use his power for good might give you some solace. Strong-willed kids can be great leaders who aren't afraid to stand up to the things they believe in. So while you'll likely encounter many challenges along the way, raising a strong-willed child can also be an exciting adventure. The key is to find ways to help your child channel his energy into something positive, rather than crushing his spirit. American Academy of Child & Adolescent Psychiatry: Discipline.